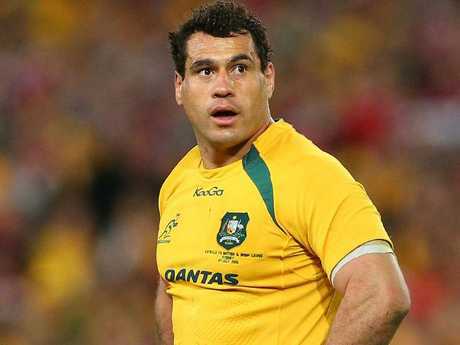 GEORGE Smith's knee trouble has settled and the decorated flanker will get the farewell night he deserves in Australian rugby at Suncorp Stadium on Friday. 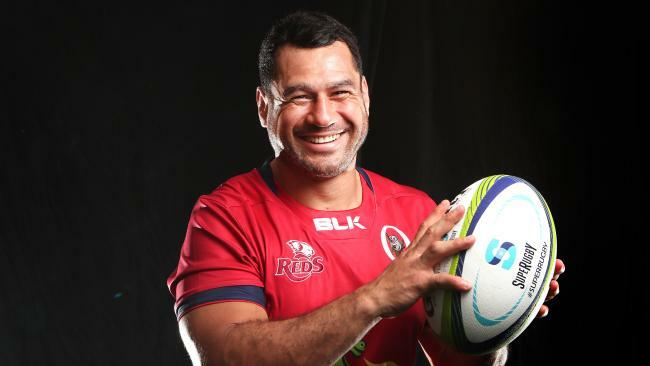 His final wave for the Queensland Reds will be against Japan's Sunwolves in his 165th game of Super Rugby before taking up a deal with English club Bristol. His late withdrawal from last Friday night's encouraging 37-23 win over the Melbourne Rebels had threatened his place but swelling had reduced when he was examined on Sunday. Training at Ballymore on Monday will be the final tick for the 37-year-old warrior who has played for as many clubs (seven) as sparky halfback Tate McDermott has played games for the Reds. Honouring Smith's sign-off, a season-ender at Suncorp and reversing the acute embarrassment of the 63-28 flop to the Sunwolves in Tokyo should pep up the Reds' motivation this week. Coach Brad Thorn said backing Moses Sorovi and Tate McDermott as a double act at halfback had enabled the Reds to "play with more speed." With Super Rugby hitting the final round, the eight-placed Melbourne Rebels (35 points) must still upset the Highlanders in Dunedin on Saturday to gain a first-ever play-offs spot. The Rebels, expecting the return of Will Genia and Adam Coleman, have destiny in their own hands because the ninth-placed Sharks (32) slipped up 27-16 against the Stormers. The Sharks have a tough finale themselves at home against the Jaguares. The NSW Waratahs have moved into second overall for hosting bonuses in the finals and will lock them in by beating the Brumbies in Sydney on Saturday night. The Waratahs' 77-25 slaughter of the Sunwolves in Sydney last Saturday night was a little deceiving because the Japanese side led 18-12 late in the first half before a costly red card. Australian Player of the Round: Israel Folau (Waratahs). It was just fun to see him run (171m), score two tries and confound a defence down to 14 and even 13 men. Who's Hot: Brumbies fullback Tom Banks keeping the energy up with 16 runs for 211m and a try against a strong Kiwi team. Who's Not: Eto Nabuli (Reds). Don't tell your French club you don't know the rule about flopping on a player on the ground to give away a silly penalty. Wallaby watch: Taniela Tupou (Reds). Imposing scrummaging display that was converted into a penalty try and a Filipo Daugunu try.